I have 41 years of experience of providing English education in a multilingual context – six years as a secondary school English teacher and 35 years as a teacher educator. I began with an Honours degree in, and a passion for, literature teaching, but in the early 1980s, I recognised the importance of educating teachers to work in diverse, integrated, multilingual classrooms. From 1985 to 1995 I obtained an Honours, a Masters and a PhD degree in Applied Linguistics (Lancaster University), studying part-time. This prepared me for both home language and additional language teacher education, to work against the linguistic and educational inequalities produced by apartheid. My teaching experience in higher education has focused on teacher education and the education of a) pre-service English teachers mainly registered for the Postgraduate Certificate of Education and b) in-service teachers registered for higher degrees. I made a small contribution to the undergraduate Bachelor of Education degree once the department of Applied English Language Studies moved to the Wits School of Education. In South Africa I have been based at Wits University but I have also taught at Rhodes, Stellenbosch, Nelson Mandela Metropolitan University and the University of Cape Town. I have taught teachers and run courses for postgraduate students in Australia, Canada, the US and Sweden. Based in South Africa, I taught an online course in Critical Literacy for the University of South Australia to students registered in Canada and Australia, some of whom were living and working elsewhere in the world. At that time, I had an adjunct appointment at the University of South Australia. I have also taught summer school courses in the US for the University of Indiana and the University of Pennsylvania and in Canada for the University of Mount Saint Vincent. 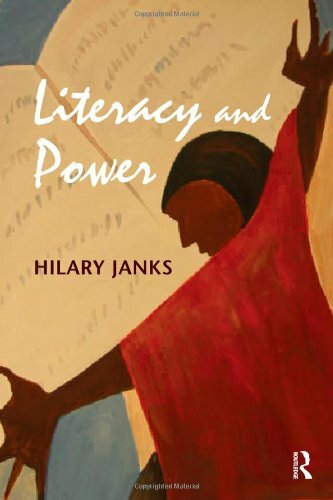 My research focus on the relationship between language, literacy and power brought my academic and political commitments together and I was well-placed to envision an English curriculum for a post-apartheid future. 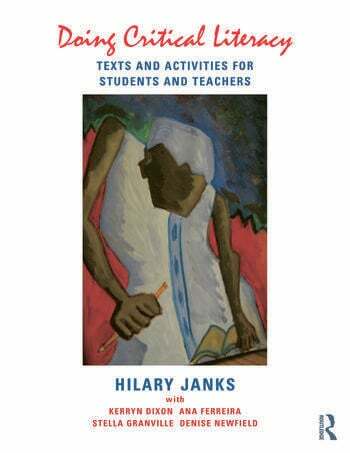 I developed my work in critical literacy in the South African context as part of my contribution to People’s English, and used this national work to contribute to the development of this work internationally. Critical literacy is now taught in teacher education courses in South Africa and is part of the national curriculum for the FET phase of education. Explore my research in more detail here. My contribution to the field of literacy education and research has been recognised by the award of the Education Association of South Africa (EASA) Medal of Honour for ‘service of outstanding quality and dedication to education across a broad spectrum, and the promotion of the prestige of Education as (social) science and as practice’ (2012). I am the first recipient of the Literacy Association of South Africa‘s award for a ‘Significant Contribution to Literacy’ (2018). I am also a Member of ASSAF (2012); am the only African to have been elected to the Reading Hall of Fame in the US (2014); and was appointed as a Fellow of the American Education Research Association 2015. View my CV or browse my keynote addresses.